The holiday, which actually marked the first of summer for many years – with our current summer solstice being Midsummer) has always featured feasting and dancing, and often the crowning of a May Queen and King. In parts of England, and then in Puritanical America, leaders tried to do away with the Pagan holiday, but the charming, sweet aspects of the celebration have remained. These celebrants in Glastonbury, England, look like they know what they’re doing and are having fun doing it. See also: Celebrate May Day with Floral Wreaths, Crowns and Baskets. This entry was posted in Community, Crafts, Holidays, Lost Arts, Play, Seasons and tagged Beltane, How to do a Maypole Dance, May Day, May Day Celebrations, May Day Customs, May Day History, May Day Traditions, May Pole, Maypole, Maypole Dance, Maypole History, Midsummer, Pagan Customs, Spring. Bookmark the permalink. I went to my first May Fair at our school last year, it was amazing. Each grade learns a “pattern” for the May Pole, the little ones an easy one and by 8th they learn a very complicated one. I was shocked at how joyous the kids were essentially dancing with ribbon, even the boys! Thanks for mentioning it on your blog. 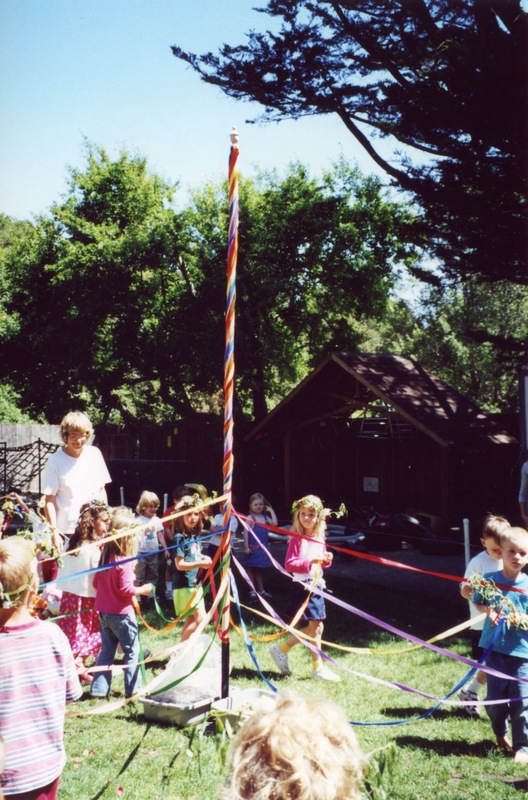 Maypole Day used to be my favorite growing up. Our school celebrated in the best way. That is great some places are still enjoying it!